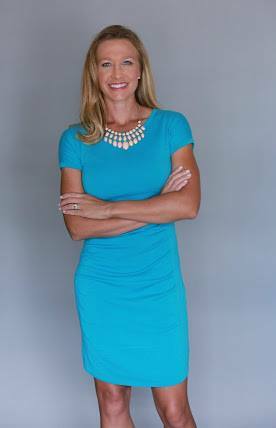 Kyndra is currently the only female color commentator in Major League Soccer (MLS), serving as the television analyst for Minnesota United FC. MNUFC joined MLS for its inaugural season in 2017 after being a part of NASL for several years. They joined MLS as the 22nd team in the league. The former University of Minnesota soccer star has been a part of the sports broadcasting landscape, whether it be radio or television, since graduating college in 2003. Kyndra has been a part of the Fox Sports family since 2011, Big Ten Network since 2007 and Pac-12 Network since its launch in August 2012. Kyndra started her career with ESPN 1500AM in Milwaukee (ESPN Radio affiliate) covering all sports in the Milwaukee/Madison area as the beat reporter for the Bucks (NBA), Brewers (MLB), Packers (NFL) and all UW Badger and Marquette University sports. In 2007 Kyndra moved to Arizona and joined Arizona Sports 98.7FM (ESPN Radio affiliate). She was the beat reporter for the Diamondbacks (MLB), Suns (NBA), Cardinals (NFL), Coyotes (NHL) and ASU sports. In addition to her reporting duties, she was a fill-in co-host and SportsCenter anchor during PM drive. Also during her time in Arizona, Kyndra was the pre-game host and sideline reporter for the television broadcasts of Grand Canyon University men's basketball and baseball on Cox Sports. Kyndra was an integral part of Fox Sports' coverage of the 2015 Women's World Cup in Canada. She was one of five broadcast teams selected for the tournament's television coverage on the network. Kyndra and her broadcast partner Jenn Hildreth did 12 games in total, including the semifinal of Japan vs England in Edmonton. She has also been in the booth for the network’s coverage of the Women’s Professional Soccer League (WPS) and was the lead analyst for the NWSL (National Women's Soccer League) for two seasons. She has also been a part of FS1's coverage of the International Champions Cup from 2013-2015 and served as the sideline reporter for several games for the USMNT for Copa America in 2016. She currently resides in Minnesota with her husband Bobby and daughter Adelynne.